You get the most out of things if you work outside the box, says Søren Hellerup. The progressive world of theater and movies in São Paulo opened up the doors for new opportunities for the Danish actor, Søren Hellerup, after 27 years in New York and Hollywood. The Danish Cultural Institute has spoken with the Danish actor, director and producer who is on his way to Denmark with a Brazilian guest performance by August Strindberg and Dorrit Willumsen, “The Strongest”, at CPH Stage where it will premiere the 1st of June 2017. For many actors, New York and Hollywood represent the biggest dream. What pulled you towards an international career, first in the US and then Brazil? 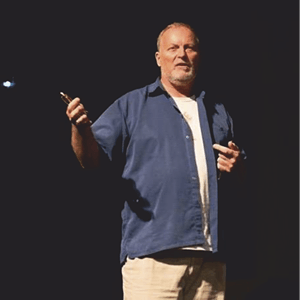 “After taking a degree in acting from Statens Teaterskole in 1982, I worked for a couple of years with group theater, tours and Copenhagen theaters. However, I felt that I needed more education and I received some scholarships in 1985 which allowed me to continue studying for one year in New York City. I ended up staying for 13 years. It was not until 1998 that I moved to Los Angeles. In the US, I had some really great years, a couple of bad ones and then some good ones again. But after the union strikes and the general economic decline, almost 50% of the jobs in LA disappeared. With almost 400.000 actors in the city, out of whom 250.000 are part of a labor union, the most of my time was spent just getting a job. Around 95% of your time goes with “networking”, workshops and so forth. When you finally got a job, you were just a small part of the big Hollywood machine. In the end, a big fat check would arrive, but generally I did not feel very creative. In 2009 and 10, I began to visit São Paulo and I quickly realized that there was a really creative and progressive theater community in the city. Actually, every week in São Paulo there are more shows presented here than in for example New York. Admittedly, the quality does fluctuate a lot in São Paulo, but when it is good, it is terrific. What attracted me most in São Paulo was that I felt that it was about the “art” here. When you meet people, you talk about art, culture, development, technique and new ideas. Opposite to the general talk in Hollywood that mostly revolves around yourself and your latest encounter with this and this person. Today, you work with both Brazilian productions and with your own productions. What has cleared your way into the Brazilian theater and movie environment? And how do you experience this in relation to the American and the Danish environment? “I was in my late 50s when I decided to say goodbye to Los Angeles. What first occurred to me here in São Paulo was this huge development of creativity in my life. Ideas of producing shows myself as well as creating the scenography for these began to take form. A creativity I did not even know that I had. Just the fact that you meet this openness towards new ideas, also towards a person of my age, gave me the strength to realize what I wanted in life. Actually, I had put away the idea of being an actor. I felt tired and uninspired, and at the same time I am not very good with language, in order words, I spoke Portuguese horribly, so I had never imagined that I would get to act here. I had been lucky enough to be introduced to a creative and productive group of theater people, and this relationship opened new doors to other people. I found that here, opposite to Hollywood, it was very easy to create a network. There has only been openness and good will, and even though it was not easy and takes a lot (a LOT) of time to produce a show (from idea to reality it can easily take up to 3 years or more, even for big actors), I felt like I was exactly where I wanted to be. A big local film production with an Oscar nominated Brazilian director had decided to do his film in English after a big name in the US had become interested in playing the leading role, and suddenly he was in the need for English speaking actors. After my audition, not only did the director offer me the possibility to choose between 5 different roles in the movie, but also the chance to help the caster with readings, text work and the director himself through a pretty intensive trial process. Suddenly, I was sitting opposite some of Brazil’s biggest actors and doing a work that was some of the most stimulating work I had done in my life. A job I would never had come close to in the US. This lead to another job at a big Brazilian HBO tv-show where I have just been invited back to do 2 more episodes for the 4th and final season of the show. Suddenly, agents started contacting me, and in 2016 I ended up also being in 7 episodes of 3 other tv-shows. Furthermore, this August one of the biggest and most expensive movies ever made in Brazil will premier. My role in this movie alone has given me more inspiration and creativity than I could have ever dreamed of. The thing that makes the entire difference between the work I do here and the one in Hollywood is that here you actually have the possibility to have a conversation with the director. You feel like you really have a voice and that you can be part of the creative process. In Hollywood, it’s a big machine, and afterwards you go back to your trailer and get to sit there until someone calls your name again. Here in São Paulo, you feel like everyone is working and is together. There is a huge respect for everyone, no matter what level you’re working on. What has it done for your artistic development working abroad, in two distinct countries and cultures? You work with theater production of Nordic texts/plays; how are they received in Brazil? And how is your approach to the “Nordic tone” in the texts? “One of the most fantastic things about working with mixed cultures is that you often get the best of both worlds. The texts we are working on are some of the best written in Nordic and European literature. These texts bring out emotions in us who grew up reading them, and they evoke other emotions today, for example here in Brazil. In these collaborations, you discover new layers which can result in another expression with new dimensions. I am careful not to bring my ideas as final, but really use the quality and the culture that exist in the actors I have chosen. It also makes it more interesting for me, because during rehearsals, new things appear that I originally would not have thought of. We are in the middle of the rehearsals of August Strindberg’s “The Strongest” which originally premiered in Copenhagen in 1889 and we are working on this together with the version by Dorrit Willumsen from 1978. We have spent a lot of time on just reading the texts and discussing all the possibilities. 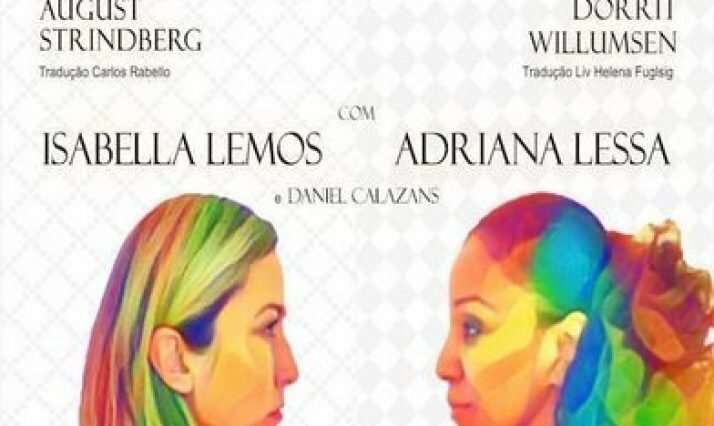 My two Brazilian actresses, Isabella Lemos and Adriana Lessa, are bringing new ideas and expressions to the text. The woman’s role in Brazil in 1889, and in 1978, adds a new power to the texts. Played by two modern women in 2017 just brings out the best in both the texts and actors. While working with the show, we are building on the parallels 1889-1978 and up until today in both Denmark and Brazil. It really makes you reflect. One of the things we have talked about is how close many Brazilian women’s lives are to the lives of the women at Strindberg’s time. As a woman, you depend on the man; you get married, have children, do your house chores and no questions are asked. If you listen to the Brazilian President’s speech on International Women’s Day this year, you get a frightening picture of what many men still expect of women, even in 2017. We are planning on having the premier of the show on CPH Stage on the 1st of June 2017. In the original plays, the show takes place at a café on Christmas Eve in Copenhagen. We have kept this part. 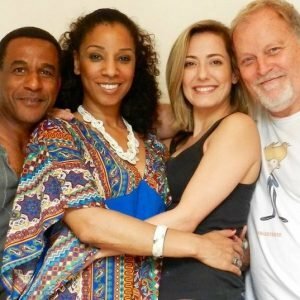 Partly it fits well with the atmosphere of the play, but additionally it adds another dynamic that we have 2 Brazilian actresses to interpret the text so it does not end up as you would have maybe expected. I am very careful with not transferring my (Scandinavian) thoughts from my upbringing, but letting our Brazilian actresses’ input shine through the words of August Strindberg and Dorrit Willumsen. 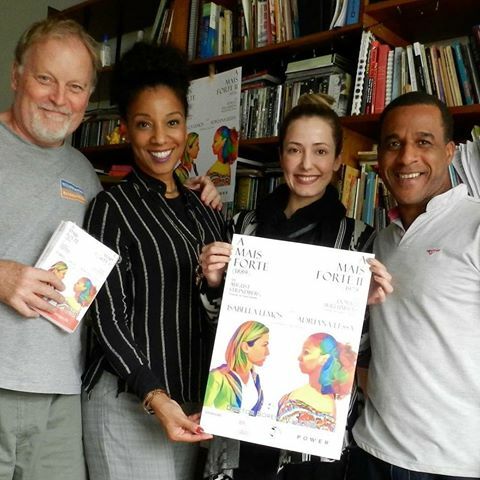 The play has been produced with support from Danish Cultural Institute in Brazil and is the first in a series of Danish-Brazilian acting collaborations.